* humidity, temp., dew point. * humidity range : 10 % to 95 % r h.
* temp. range : 0 oc to 50 oc, 32 of to 122 of. * 0.01 % RH, 0.01 degree. * 1000 data logger point. 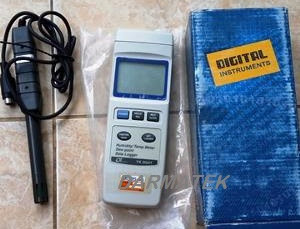 * optional data transmition software, Ssw-dl2005.